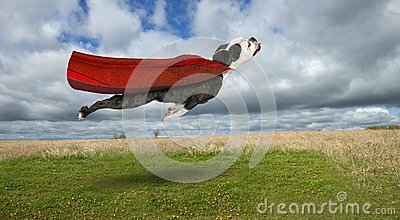 A funny bulldog flies through the sky in a cape and superhero costume. The dog of steel is a hero for good and fighting crime. Husky dog in ski goggles. A funny, little superhero. Concept boy imagination. Happy childchood. La Coruna Comic Con. Spain. August 2018. Spider-Man climbing an obelisk. Cat breed Russian blue gray silver-gray color with green-yellow eyes.